Fiction – paperback; Faber and Faber; 240 pages; 2009. Free copy for our Book Group courtesy of the publisher. I first read Sylvia Plath’s one and only novel, The Bell Jar, as a young 20-something, when I was hugely unsure of my place in the world. Indeed, I’d graduated but my career prospects were thwarted by a massive recession (it was 1991) and I was making ends meet by working part-time in a book shop. 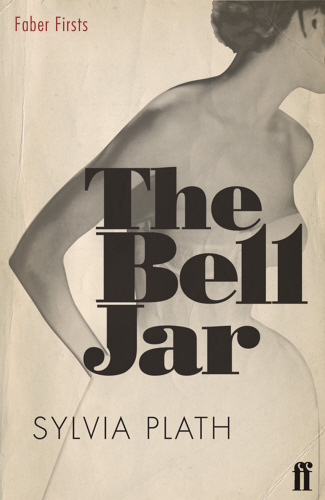 Reading The Bell Jar was a rewarding experience, because the main character, Esther Greenwood, was also coming to terms with her place in the world — or not coming to terms with it, as it turned out. As I read about Esther sliding further and further into depression, I realised my life wasn’t so bad after all. But I did find The Bell Jar very dark and bleak. The cab driver took the corners with such momentum that we were thrown together first on one side of the back seat and then on the other. Each time one of us felt sick, she would lean over quietly as if she had dropped something and was picking it up off the floor, and the other one would hum a little and pretend to be looking out the window. But I digress… For those of you who are unaware of the storyline, it goes something like this: It is 1953. Esther Greenwood is a first-rate student from rural America who wins a college scholarship along with the opportunity to spend a month in New York city as an intern on a fashion magazine. But during her time in Manhattan with 11 other young female interns, Esther slowly realises that she can no longer define herself by her academic accomplishments. The world, as she knows it, is coming to an end and she doesn’t quite know how to handle it. Or, as she describes it, she “felt like a racehorse in a world without racetracks”. When she returns home, she discovers that her application to join a writing course over the summer has been rejected, and depression sets in. I saw my life branching out before me like the green fig-tree in the story [that she had read]. From the tip of every branch, like a fat purple fig, a wonderful future beckoned and winked. One fig was a husband and a happy home and children, and another fig was a famous poet and another fig was a brilliant professor, and another fig was Ee Gee, the amazing editor, and another fig was Europe and Africa and South America, and another fig was Constantin and Socrates and Attila and a pack of other lovers with queer names and off-beat professions, and another fig was an Olympic lady crew champion, and beyond and above these figs were many more figs I couldn’t quite make out. I saw myself sitting in the crotch of this fig-tree, starving to death, just because I couldn’t make up my mind which of the figs I would choose. I wanted each and every one of them, but choosing one meant losing all the rest, and, as I sat there, unable to decide, the figs began to wrinkle and go black, and, one by one, they plopped to the ground at my feet. Before long, Esther is seeing a psychiatrist and admitted to an asylum. A string of failed, one might say half-hearted, suicide attempts follow, as does a course of electro-shock treatment. It all feels very bleak and depressing…although the ending is relatively upbeat. The latter two-thirds of the book comes across a bit like one long whinge-fest. There was part of me that wanted to grab Esther by the shoulders and shake some sense into her. Sure, her aspirations aren’t being taken seriously, but why not prove what you can achieve before giving up because you don’t see the point of it all? But then, it’s hard to fully comprehend what it must have been like to be a woman in the 1950s, when society simply expected you to get married, stay at home and raise a family. How would an intellectual, creative woman, deal with making such compromises? The Bell Jar was Plath’s only novel, because she killed herself a few weeks after it was published in 1963. Obviously, one can’t help wondering how much autobiographical detail fills its pages. Sadly, we will never know. I agree with so much of it. I too preferred the Manhattan based first third and thought it was evocative of the period and setting and though the language was lush throughout. Esther’s suicide attempts were half-hearted and I wonder if it was more a cry for help or simply something to lessen her ennui. Great review! It is a shame that you couldn’t make it last night. I didn’t feel the same way as you about the last part of the book. I never really connected with Esther’s character – see always seemed so detached from me, so I never felt strongly enough about her to want to shake her! It was actually a good way to kick off the book group yesterday hearing your thoughts read by Simon. I’ve nicked your idea of listing the other bookgrouper’s posts at the bottom of mine for the Bell Jar – what a sensible thing to do! I was always under the impression that most of the Bell Jar was semi-autobiographical. Plath did an internship at a fashion magazine in Manhattan and there were a few half-hearted suicide attempts during that period. We had this book on our shelves when I was growing up and it never drew me. I think Plath has been martyred and glorified by militant feminists to such a degree that I rebel against reading her work (and to be honest since Gwyneth Paltrow portrayed her, I’ve stuck my heels further into the ground to read anything by Plath. Silly, I know, but now I see Gwynnie’s face whenever Plath is mentioned, and I’m not a big fan) But your review of her days in NYC would seem interesting to me because I’m drawn to NYC history pre-1960s. So to get her perspective of that time makes me want to read it, regardless of the feminist idoltry and Gwynnie’s face. I love seeing The Bell Jar discussed. I read it a couple of years ago for the first time, and it knocked my socks off. I think it covers the same territory Catcher in the Rye does, but it does it much better in my view. I see Esther as Holden Caufield’s older, smarter sister. I love that you pointed out the funny parts. CB James, you’ve hit the nail on the head. When I started reading this on my hols, my Other Half asked me what it was like. And I said “Think Holden Caufield in Catcher in the Rye but from a female perspective”! I like your idea that maybe Esther was Holden’s older, smarter sister. Great review Kim, and I too love the idea of this being a female Catcher in the Rye though I think I enjoyed this one more than the Sallinger. So sorry you werent there, are you all better now? Am emailing round the next book this afternoon.